The Liberal MP who triggered the sudden adjournment of an emergency meeting of the Commons justice committee Wednesday insists there’s been no attempt by the government to cover up the SNC-Lavalin affair, and says it’s time to turn the page on the controversy. Francis Drouin suggested the opposition Conservative and NDP members were playing politics by calling the meeting during March break, since a session to determine next steps had already been scheduled for Mar. 19. 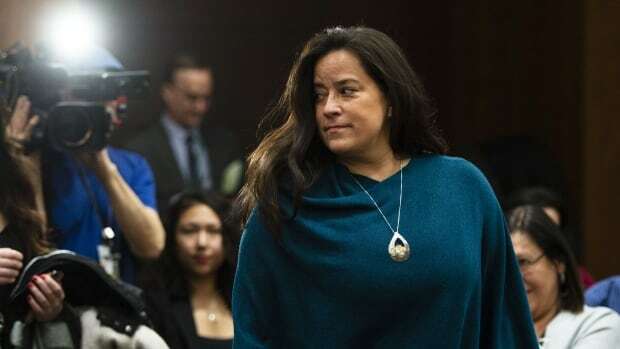 The opposition members forced Thursday’s meeting to debate a motion to invite former justice minister and attorney general Jody Wilson-Raybould back before the committee to testify for a second time about what she claims was a concerted effort by high-level government officials, including people in the Prime Minister’s Office, to interfere with her decision to allow bribery charges against SNC-Lavalin to proceed to trial. Drouin said he believes it’s unnecessary to bring Wilson-Raybould back. He said she can provide the committee with a written statement and noted she’s testified before the committee for nearly four hours already. The committee meets next on Tuesday to decide whether Wilson-Raybould and others should be called to testify. That meeting likely will be held behind closed doors, as is the practice for most meetings where potential witnesses are being discussed. Had Wednesday’s meeting not been adjourned, MPs would have discussed a motion to bring Wilson-Raybould back to testify — which would have required Liberal MPs to publicly state their positions. “Pierre Poilievre is a great political actor. But I don’t think Mr. Trudeau is calling the shots,” Drouin told Ottawa Morning host Robyn Bresnahan. Drouin also said he does not believe the matter merits a public independent inquiry. The NDP has been calling for such an inquiry, while the Conservatives have been calling for Trudeau’s resignation and an RCMP investigation. Conflict of Interest and Ethics Commissioner Mario Dion, who has taken a prolonged leave of absence for health reasons, is also examining the SNC-Lavalin affair to determine if ethics rules were broken.